I planted it from a Bonsai kit. The seed packet is labeled as Black Pine seeds but, in comparison to photos online, these sprouts seem suspicious. Another sprout came up, it looks more like a pine seed! 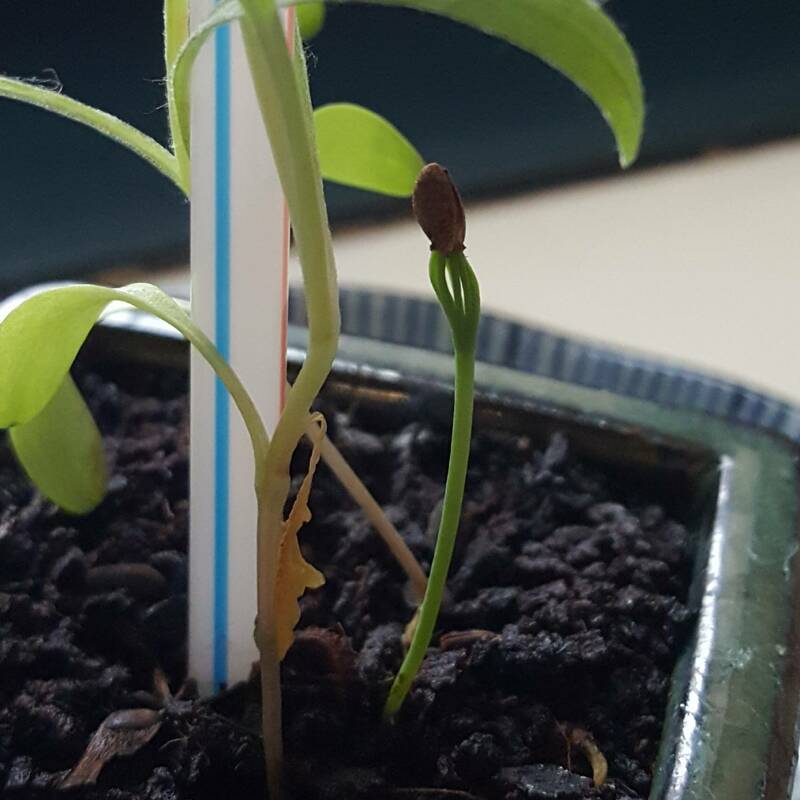 The initial sprout got tall. Yes, your sprouts with the paddle shaped leaves (in the topmost photo) certainly aren't pine sprouts, ... but in the photo second down from the top, where we see the sprout over to the right which looks like a lanky arm with little green fingers sticking into the brown shell of a seed...That looks to me like it very well might be a pine sprout, as you say. Keep your eye on it. Not the answer you're looking for? Browse other questions tagged trees bonsai pines sprouting or ask your own question. Why do my bonsai seedlings die after a month? Pine seeds which I planted two months ago grew early. What should I do? 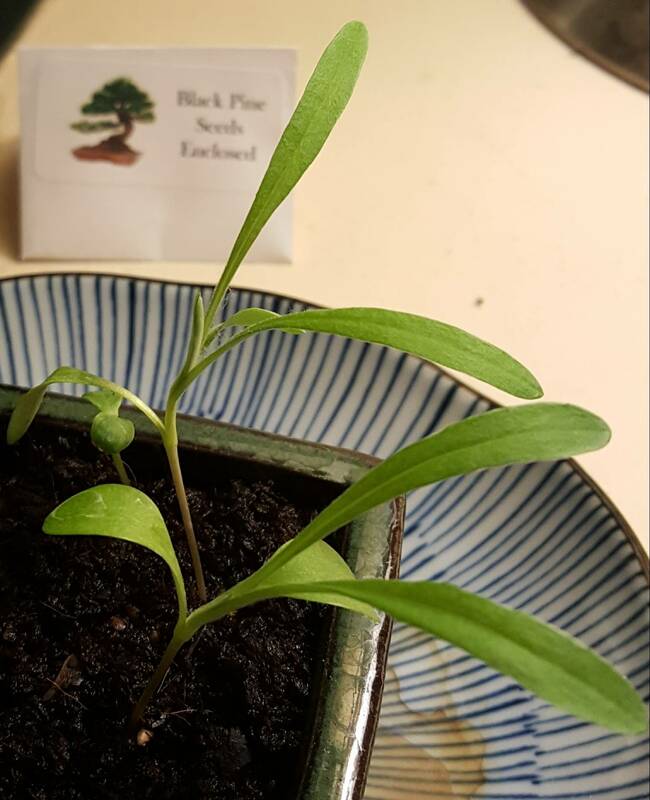 Is this seedling a Black Pine which I can use to grow a Black Pine Bonsai tree? Can you help identify this bonsai tree?